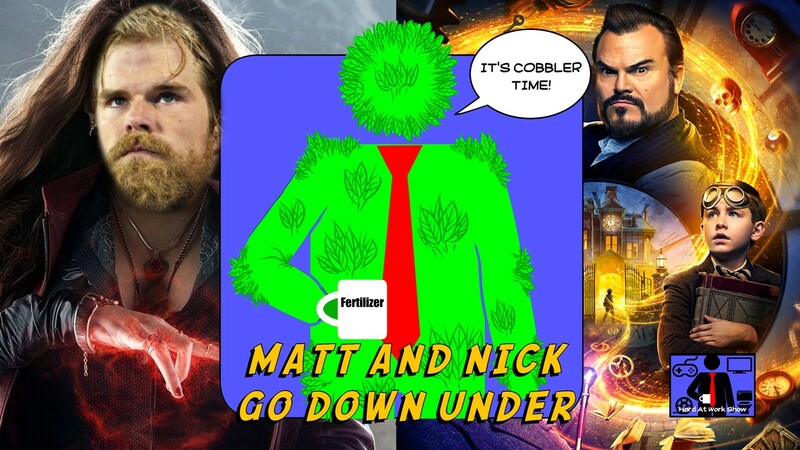 On this week's lunch break, the guys insult some new Co-Workers with a pathetic display of knowledge about the country of Australia. They also talk about Disney's new streaming service and Kevin Feige's future with the Marvel Cinematic Universe. Other topics include The House with the Clock in its Walls, Spider-Man 3, Soccer, Netflix, Topiary, and they come up with a nifty new invention, the Water Proof Stick Hat. Enjoy!